Several diverse sources have suggested that a catastrophic celestial impact events may occur in Earth's near future. Analysis suggesting that minor cosmic events have already occurred during calendar year 2017. This web page shows cosmic events relating to a possible swarm of incoming comet fragments, some of which have already impacted Earth. Future impact events may well occur that could cause blast, tsunamis', and a major weather change resulting in a new Younger Dryas like Ice Age. Impacts in the Atlantic ocean, Caribbean and Mediterranean sea are anticipated. Peak threat times are September/October 2022 or 2023. Based on the Bible Code, bodies from Swarm B:Cl-1 (Swarm B Cluster 1) are anticipataed to impact in 2021 and/or 2025. Apparently, what is being dealt with here is the beginning of the 'End Time's Tribulation' followed by the start of a new golden age of Mankind by the close of 2026. These calculations suggest that the Earth may be struck by fragments of these comets, but these are a 'soft number' because estimates on times of occurrence of past Ice Ages has significant uncertainties associated with those dates. The main stream of Tollmann's bolides is thought to have already begun to impact Earth in early October 2017 and an increase in fireball activity at this nominal boundary was found in 2016. Three independent analysis paths lead to the suggestion that Earth will be at least twice threatened with a major meteorite/comet impacts. Even politicians and potentates have offered vague warnings. Furthermore, there are prophetic warnings that suggests a cosmic impact will soon occur. The source of this data seems to have ET alien roots. It has been telepathically transmitted to some 'select humans' that can receive this type of information. Kato Mivule's visions appear correlated with the Kansas City Chief's football game in Arrowhead stadium. A September through October time boundary and the Wormwood Meteorite were involved. Kato's '7' comets (red Kuiper Belt Objects) would receive the most solar heating from rounding the Sun making them visible. Even an ET alien (angels in a 'high tech room) was noted. Efrain Rodriguez's visions note the presence of 'a full moon' and an impact off the coast of Puerto Rico. Massive impact debris is anticipated which is consistent with an ET alien description of a 'One world government living on an Artificial Island floating in the middle of a dark black dirty sea'. There has also been an ET alien simulation of the approaching B comet swarm (containing '7' red comets). 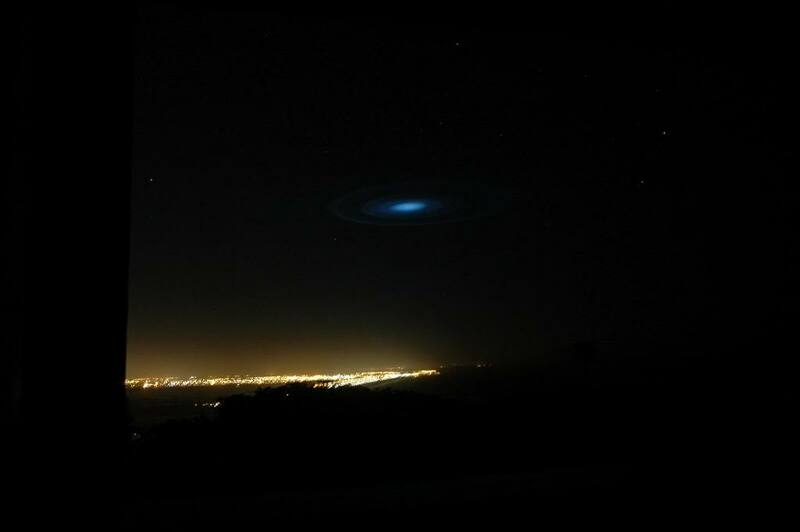 It consists of a 'Sky Circle formed over Christchurch New Zealand and is discussed at the end of this web page. The object below in Figure 1 may be the first sighting of the anticipated red colored comets. Earth impacts are anticipated from comet fragments associated with this comet swarm and could cause Earth to rapidly cast into an Ice Age. As this could cause a major loss of human life, 'steps appear to have been taken' to obscure some of the scientific data from related celestial objects. Figure 1. 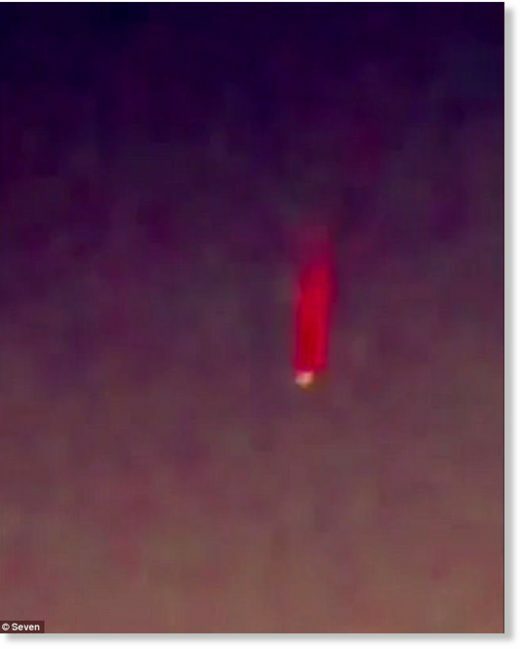 Perth Red Fireball Most Likely Passing Comet Fragment. Comet ASASSN's period was quickly changed from 3600 years (Sitchin's famous value) to 9600 - 9900 years. Hurricanes unleashed on Puerto Rico to encourage elite evacuation to the mainland due to the violent times to come. Hmm, right near that September/October threat date reported by Kato Mivule . Meteorite Induced New Hampshire (04 Oct. 2017) and California (08 Oct. 2017) Wild Fires. "There�s a lot speculation around here," a spokesperson for NAS Whidbey Island told military.com on Monday, "but it�s definitely not a missile launch." The naval air station on the island does not have any missile capabilities, according to the spokesperson. On Sunday morning, at 3:56am Greg Johnson of Skunk Bay Weather managed to capture a mysterious vertical light streak on the northern Kitsap Peninsula. 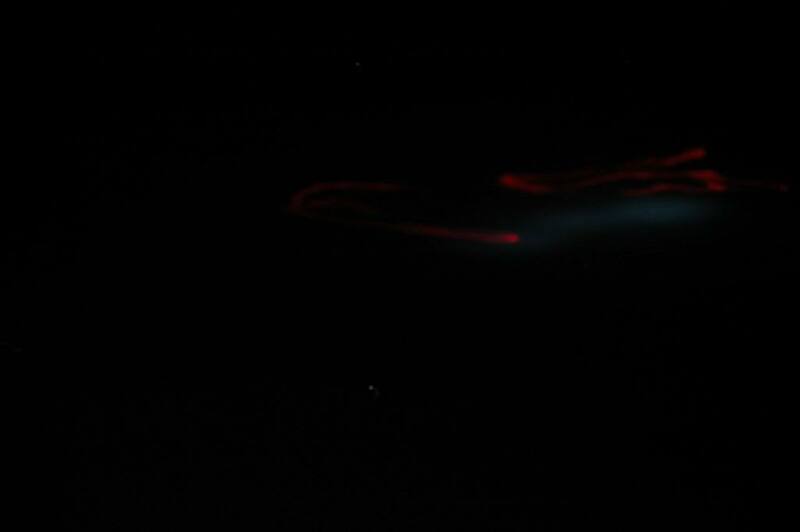 His 20-second exposure picture shows an orange-colored line with a luminous tail piercing through the clouds, appearing to be a launched missile. I ran this image by Robert Lunsford of the American Meteor Society and he said it was definitely not a meteor. 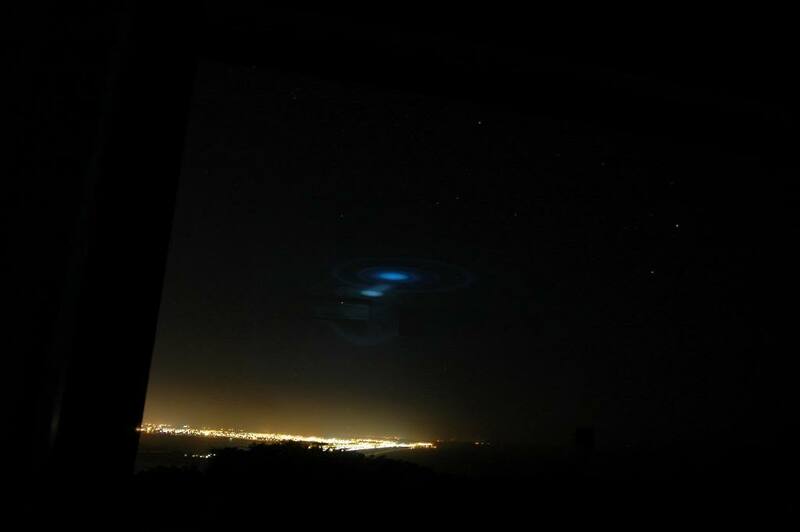 It looked like a missile launch to him as well,� Johnson said, before sharing the image with Cliff Mass, a professor of Atmospheric Sciences at the University of Washington, who also said it was " definitely not a meteor." We are in the mists of an impinging comet swarm whose associated fragments can hit Earth. The peak danger time is about 3-9 October from 2017 - 2025. If comet fragments are �rounding the Sun� they are about 29 days away from reaching a distance equal to about Earth�s orbit. Additionally. they have just passed perihelion and have been heated by the Sun, so they are out gassing and may become very visible to telescopes pointed at or near the Sun (usually looking for sunspots). This happened in early October 2017 and these fragments started the New Hampshire and Northern California wild fires. It appears that the SOHO space telescope (Sun diving comets detector) was shut down first followed by temporary closures of selected Solar Observatories around the world. SOHO back up Sep. 17/18 2018 after closure Aug. 29, 2018. SUNSPOT NM OBSERVATORY forcibly closed Sep. 6, 2018 and reopened Sep. 17, 2018. SOHO was closed from 29 Aug, 2018 till the time comets would start to threaten Earth, Sep. 26, 2018. SOHO was allowed to reopen on 17 Sep. 2018 and because these comets after this time would threaten Earth after 16 Sep. 2018. Our government forgot about the SUNSPOT N. MEXICO OBSERVATRY and rushed the FBI to shut it down on 6 Sep. 2018. It was allowed to re-open the same time as SOHO. Thus the comet threat is anticipated to be between 1 Oct. to 16 October. So the our Government apparently made the decision to shut down the Observatories that may detect the comets for a half month period when they are most visible after their perihelion passage around the Sun. 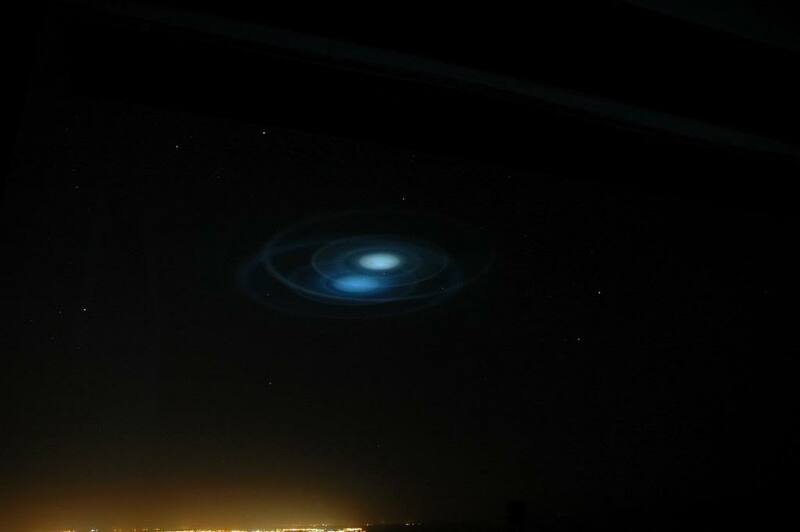 Gina Maria Colvin Hill's photo appears authentic and it seems to have detected a comet (fragment) swarm that could pass by Earth before 10 October 2018. This is consistent with the 2017 comets fragments causing wild fires in N. Hampshire (4 Oct 2017 and Northern California fires 8 Oct 2017. The Earth has revolved about a quarter of a turn eastward since this same event during the same time in 2017 implying a Pacific ocean target area. The 2017 data seems to show orbit of the comet fragments intersects Earth orbit where Earth is during October 4 thru Oct 8. This may not be perfectly right and the dangerous region for Earth could be anywhere from Sep. 29 to Oct 15. The period of Earth's orbit (1 year) and the comet swarm's orbit (~3313 years) are vastly different. The orbital inclinatio nof the comet swarm is 'cranked' up and down over many periods with the mean around 48o. Around the world, about thirty observatories have dedicated at least one telescope to the study of the Sun. Given the atmospheric turbulence, it is almost impossible to use instruments over one meter in diameter unless you have a high altitude site or install adaptive optics. The Federal Emergency Management Agency, in coordination with the Federal Communications Commission (FCC), will conduct a nationwide test of the US Emergency Alert System (EAS) and Wireless Emergency Alert (WEA) on September 20, 2018 (primary date) or October 3, 2018 (secondary date). The EAS message will include a reference to the WEA test: �THIS IS A TEST of the National Emergency Alert System. Last entry August 28: It takes several days to analyze the data for Sun Diving comets, so it looks like all work ceased by 1 September 2018. Gina wrote on her Facebook: September 11, 2018 8:02AM Salem, Indiana. 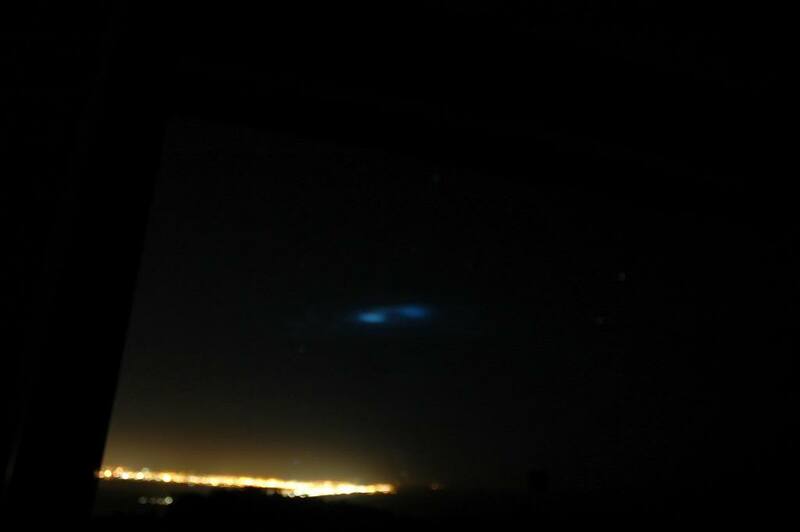 "This is what showed up in my camera after I took a picture of the Sun in the eastern sky this morning. iphone 8 with a camera lens adapter." 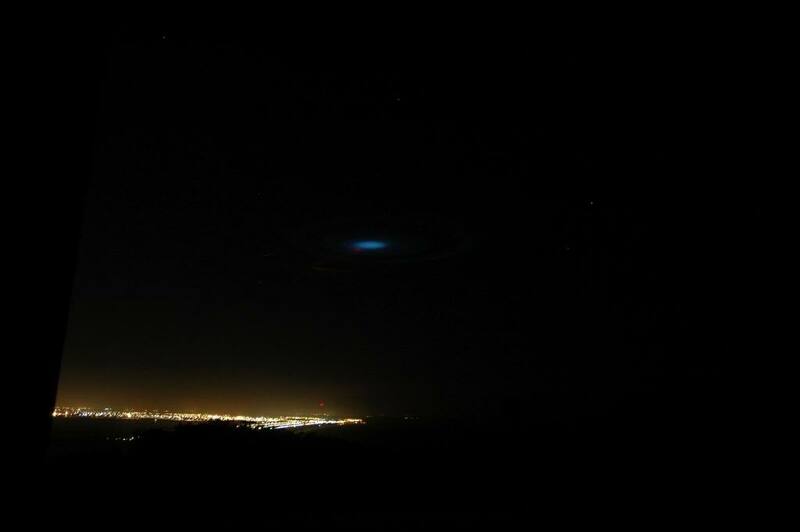 I have welded for years, and I can tell you that if these are UFOs, they are not very good welders.. I am sorry, however, these are not ships..you can clearly see the weld around the center.. it looks like some kind of casing or housing.. for an image sensor or lens maybe.. However, it does seem odd that all these observatories have all went off line..as well as the soho, and apparently secchi missing 7 hrs of footage, on the same day.. although, I have not looked into the secchi to say for sure it is the truth..
On September 7th, 2018, the Sunspot Observatory was temporarily evacuated and subsequently closed by the Association of Universities for Research in Astronomy due to a "security issue." Bottom line: Sunspot Solar Observatory will re-open, beginning September 17, 2018. Did the authorities forget for a week after closing SOHO that the major Solar Observatory also had the ability to detect Sun diving and Sun skimming comets? Has the Solar Observatory staff been told what to and what not to report? They have had 10 days to re-educate them. Even the local Sheriff, who was kept in the dark about the investigation throughout, was skeptical. "But for the FBI to get involved that quick and be so secretive about it, there was a lot of stuff going on up there," Otero County Sheriff Benny House said, as quoted by Alamogordo News. "There was a Blackhawk helicopter, a bunch of people around antennas, and work crews on towers but nobody would tell us anything." The suggestion, of course, was that these observatories were being stopped from observing some ground-breaking celestial event: alien space ships, a civilization-ending solar event, or Planet X revealing itself. The SOHO space observetory was ignored, and it was the key because it detects Sungrazing comets. Another great discovery made by Gina Maria Colvin Hill. 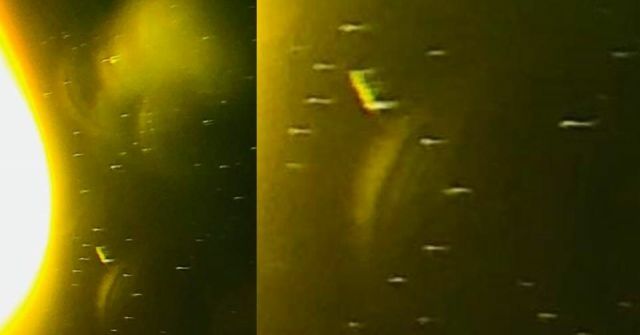 On September 21, 2018, at 8:30 AM, Using an infrared camera she was able to videotape a swarm of UFOs surrounding our sun. Source: Gina Maria Colvin Hill, facebook page. This bill would require the State Water Resources Control Board, in coordination with the Department of Water Resources, to adopt long-term standards for the efficient use of water, as provided, and performance measures for commercial, industrial, and institutional water use on or before June 30, 2022 . By January 1, 2030, would establish the greater of 50 gallons per capita daily or a standard recommended by the department and the board as the standard for indoor residential water use. Here's how to see the Draconid and Orionid meteor showers in California this month. Venus, Mercury, Mars and Venus are also visible. The fire had started south of Travis Air Force Base near Branscombe Road just before 11 a.m., and was driven south by high winds, Don Ryan of the Solano County Office of Emergency Services said Sunday evening in a video update posted to Facebook. The fire jumped Highway 12, and burned south through the Potrero Hills area and then headed toward the Grizzly Island Wildlife Area, near the southern edge of the county. no meteorites observed maybe due to daylight conditions. Travis Air Base officials told KPIX 5 that they are still trying to determine the origin of the fire, which they believe started either on on near the base. The blaze jumped from near the air base over Highway 12. The following passages are extracted from the History of the Great Conflagration, Sheahan & Upton, Chicago 1871. Directed Energy Weapons (DEW Starting Fires In Cali? A video someone took makes it appear plausible. 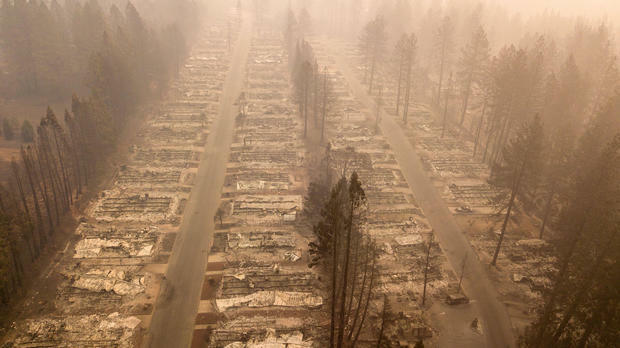 It is hard to say how this evolved, but it really does look like the fires in California were started by directed energy weapons that used the metal in cars to interact with and get them burning, which then started forest fires. This is because there are simply too many cars that are totally melted and burned to a crisp in the same place where there are trees that are not that badly hurt. It looks like the cars themselves started the fires after being torched by something and whatever happened to the trees is whatever happened. I have seen lots of fires on roads like this, with everything torched to a crisp on the sides of the roads, with ZERO burned cars. even though they had to drive through the fire zone. As long as you don't stop anywhere, it is not likely there will be a problem. It appears obvious that these cars were burned to a crisp while they were moving down the highway which is highly unlikely to happen naturally. On a road of the type in this video below, even if you do drive through a wild fire, there's little chance your car, which is substantially away from anything that is burning, will simply torch off before it can even roll away from it. There are no trees downed across the road (which would be doom, if you stop you'll obviously take a chance of getting burned) However, the road is instead perfectly clean, with relatively good condition trees on both sides in several areas where cars are torched to a crisp. NOT PLAUSIBLE. Here is the video. Warning, it is on Facebook but you can get it to play without an account. Facebook has lost 65 percent of it's users to date for good reason. I explained what happened above quite well for those who don't want to hit Facebook. I agree with the DEW crowd: The aftermath of the fires is not plausible. If it was a real scenario, trees would have burned through and fallen across the road. They did not. The road is very clean for "after an enormous fire", the burned out cars make it look like it was an alien attack on the cars that sparked a forest fire, not a forest fire burning cars. Question for Californians: How come I see burned out houses and cars but trees between the houses untouched. Once I started noticing it I couldn't stop noticing it. It's like that in a lot of the pics. Except the trees around the houses they burn? So trees are less flammable than houses? Not trying to be argumentative, but my car's metal exterior is fairly inflammable. My house's shingle roof is fairly inflammable (even less so when they used to be made of asbestos). I get it with burning embers, but if they "catch everything on fire", why not the trees? Are trees not part of "everything"? Read the comments, like this one. you know the houses are incinerating to dust, yet all the trees in the neighborhood don't even have the leaves burnt. swimming pool tiles that were burnt. engine blocks and wheels just completely liquify, cars flipped over, and in the same stretch of road nearby, there's garbage can still standing upright. for a bumper to turn blue on a car, it has to glow orange. I couldn't get an entire bumper to glow orange with a oxy acetylene torch. you need a dozen of them at the same time. you know it's understandable that a few trees burn I get that. you know when I'm working on a car and I'm welding, sometimes Sparks will light something on fire near me. but to have guardrails & trees burning From the Inside Out In some cases, this is not easily accomplished. it's clear something is not right here. there's houses I've seen that burn from the inside out. you got to tell me an ember flew through the window? come on now people. check out my little microwave experiment. it's a really crappy video but it kind of shows my point. "this experiment explains California fires", what happened to these people is not right. someone needs to be held accountable because this wasn't just a natural occurrence. Last exercise for foreign troops to round up children and seize food off store shelf's. Southern California is about where Kato Mivule's giant Meteorite Wormwood would impact. C3: Exodus: The Post-Hurricane Puerto Rican Diaspora - Mar. 13, 2018 More than 135,000 Puerto Ricans have left the island and it is estimated that almost half a million could migrate to the continent by 2019. Hurricane Maria caused billions of dollars in damages to Puerto Rico and left 3.4 million island residents without electric power, potable water, and telecommunications. Recovery is estimated to take years. So now one question is whether one of the effects of this diaspora could be new political power on the island. What it shows is that the US population will either be reduced to ~69m or by 69m people by 2025. Other countries will also be hit hard, while others will prosper, according to their chart. Now, it looks like nothing more than a chart where someone applied a simple ratio that cut off population according to another metric, probably related to the economy, and the scale was way off. Or, it�s intentionally trying to create a stir. Meteor fall to Earth near Puerto Rico and other Caribbean islands. One world government living on an Artificial Island floating in the middle of a dark black dirty sea. �Lazzarini has been trying all the time to raise funds for the implementation of his project. And now Rothschild & Co gave him such an opportunity, having ordered for himself the construction of a whole floating city. The Rothschild's Floating City Wayaland would consist of a group of pyramid-shaped floating buildings called Waya that are inspired by Mayan and Japanese architecture. They would come in different sizes and serve different purposes, so some may function as homes, while others could be used as greenhouses, hotels, and cinemas, for example. The largest would rise to a maximum 30 m (98 ft) tall, above the water line. The Waya modules would be constructed from fiberglass, carbon fiber, and steel, and set atop large floating platforms with basements suitable for use as optional underwater bedrooms. The structures would be moved with motors and include a small marina for boats and other water craft to moor. Each would receive electricity from rooftop solar panel arrays and water turbines. Smallest Waya module he will need �350,000 (about US$422,600). According to available information, the amount of this contract exceeds $ 600 million. The number and size of the requested Waya modules are not known. Where this Wayaland will be built and floated is also kept secret. 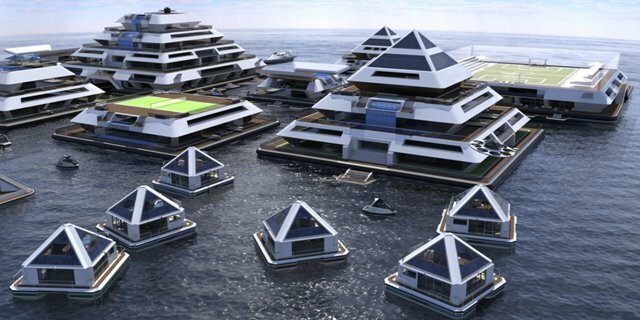 But already now it is called the future floating town of the Rothschilds. And most importantly, "everything will be built in emergency mode." And now we have a question � Why did such a famous clan decide to build a city for themselves on the water? Why such an urgent rush? What do they know that we do not? Rothschilds Commission Construction of Their Own Floating City "On an EMERGENCY Schedule" -- What do they know that we don't? - 25 May 2018 So when they do something unusual, such as announce they are shifting a significant percentage of their wealth into Gold Bullion (as they did last year), or when they divest themselves of most American Corporation stocks (like they did last year), it catches the attention of many. From the actions and behavior of people like the Rothschilds, we can get a glimpse into what to expect for mankind in the near future. Exchanges and financial institutions react to each of their actions; "Smart money" does too. As such, what can be reasonably inferred from the fact that the other day, Rothschild & Co Commissioned the Emergency Construction of a "floating city" for themselves? Why would they want their own city, floating far out in the ocean, far away from all the masses of humanity? Perhaps, because destruction comes. Destruction on a scale so enormous, so horrible, so unimaginable, the only place they can even HOPE to be safe, is in their own city, far out to sea. The number and size of the requested Waya modules are not known. Where this Wayaland will be built and floated is also kept secret. But already now it is called the future floating city of the Rothschilds. According to our correspondent from Italy, on Wednesday, financial services company Rothschild & Co (financial holding company which is controlled by the French and English branches of the Rothschild family) has signed a very strange contract with the Italian designer Pierpaolo Lazzarini. The thing is that Pierpaolo Lazzarini developed the project Wayaland. This floating home in the form of a pyramid, deriving energy from solar panels. Just a little thing called "Immunity on the High Seas". But, it needs to be a sovereign, government-backed vessel. Anybody wanna bet that it'll be a British flag flying? Along with submersible craft, either submarines or some such craft, to escape in case of attack. Last ditch effort to escape? Yeah....sooooooo 3- D........sink 'em....now. Must be getting close now, as there seems to be a Q intel blackout. I like Q. Even if a psy-op, it has been entertaining. Go Judge Anna! We need your viewpoints, there is SO MUCH hidden in plain sight. Technology has made a lot of things once only seen in sci-fi works of fiction a reality, and now floating cities may join the list. Earlier this month, UN-Habitat, the UN�s Human Settlement Programme, showcased a project for floating villages that could house up to 10,000 people. The report, titled "Surviving a Catastrophic Power Outage", warns that an attack would likely come with little to no notice and could cause complete chaos for at least a half a year, �Long-duration, lasting several weeks to months (at least 2 months, but more likely 6 months or more) due to physical destruction to equipment, such as transformers or transmission lines; or the severity of the event resulting in limited workforce to repair damage, or inability to create or transport replacement parts,� said the report. 13:00: In the second half, Max interviews Dr. Michael Hudson, author of the new book "... and forgive them their debts", about the history of debt forgiveness. Hudson explains that the rulers of Byzantium wiped out the savings of rich people by forgiving debts because canceling debts does not cause economic crises but prevents them. Debt grows faster than economy can grow to cancelling debt: Compounded interest rate grows faster than any possible growth in the economy. Babylonians developed the concept of 'jubilee year (debt forgiveness' and Christ advertised it. The Babylonians had better mathematical models to describe the ways to do this ' debt forgiveness'. Not worth sacrificing the economy just to pay the creditors so bail out the debtors, not the creditors. Wipe out savings of the rich people. Otherwise, the rich people just take over the land and not pay taxes. Cancelling the debt does not cause an economic crisis, it prevents an economic crisis. Rome did not cancel the debts, and it ended up in feudalism. With the USA, the banks (e.g. creditors) were bailed out at the expense of pension funds, savings business failings etc. Thus the populous grows deeper in debt relative to the soaring interest on the debt created by the creditors. Forgiving the debt keeps the economy going, businesses thriving and money flowing. Once the people got into debt, they fail further and further behind as the interest payments ate up the money that would otherwise be used to grow their business. The idea that one can get rich by going into debts is just sales talk by the creditors. 12:46: In the second half, Max interviews Dr. Michael Hudson, author of the new book "... and forgive them their debts", about the history of debt forgiveness. How come there appears to be no place for an economist for those who do not want to become a 'debt slave'? There is no one studying the 'History of Economics'. The current economic model is one of stability, is where the debtor has to sell all that they have to the creditor and this eventually leads to feudalism. Even in Mesopotamia, all money was debt. In modern China, if your company goes bankrupt, its not 'carved up' and sold to an USA company, rather unlike the USA, cancels the debt and saves the company. Thus, the USA cannot compete with China. USA economists look at everything in terms of equilibrium, when in reality, everything about them is changing. Every USA government agency meant to regulated has been captured by those who it was suppose to regulate. The Euro will go into a controlled crash. Student loans will end with most of the students if they pay their debts will not have enough money to buy a house, must live with their parents and not get married and have kids. They will live in neo-feudalism. Quantitative easing (QE), also known as large-scale asset purchases, is an expansionary monetary policy whereby a central bank buys predetermined amounts of government bonds or other financial assets in order to stimulate the economy and increase liquidity. An unconventional form of monetary policy, it is usually used when inflation is very low or negative, and standard expansionary monetary policy has become ineffective. A central bank implements quantitative easing by buying specified amounts of financial assets from commercial banks and other financial institutions, thus raising the prices of those financial assets and lowering their yield, while simultaneously lowering short term interest rates which increases the money supply. Opponents believe that one of the problems that arises is moral hazard whereby a company that benefits from these protective policies will seek to profit by it, deliberately taking positions (see asset allocation) that are high-risk high- return, as they are able to leverage these risks based on the policy preference they receive. The movement is motivated by rising fuel prices, high cost of living and claims that a disproportionate burden of the government's tax reforms were falling on the working and middle classes, especially in rural and peri-urban areas. The protesters have called for lower fuel taxes, reintroduction of the solidarity tax on wealth, a minimum wage increase, and Emmanuel Macron's resignation as President of France. Note: The Bankers began their plot to turn the EU into a 'Feudal state' by impoverishing the non-urban French first and allowing the migrants and the urban French to clash as a later time. "Together with disease, the next Ice Age ranks as the biggest danger to which we as individuals are exposed. The next Ice Age is not specific problem of the distant future. The causative agent, the strike of a giant meteorite, could happen at any time. The risk of the next Ice Age is not just the biggest of the risks that we run. It is a risk that would hopelessly compromise the future. Besides wiping out a considerable fraction of those now alive, it would leave a wan, grey future from which the survivors and their descendants could do nothing to escape. It would be a condition that might last 50,000 years or more, a future in which the prospects for mankind would be much less favourable than they are today. This is why our modern generation must take action to avoid catastrophe, an ultimate catastrophe besides which the problems that concern people, media and governments from day to day are quite trivial." ... Sir Fred Hoyle - Ice, the Ultimate Human Catastrophe (pg. 75). ET Aliens have warned us of this threat at Fatima in 1917. L�cia herself is reported to have explicitly stated that the Third Secret contains Apocalyptic content. According to one source, when L�cia was asked about the Third Secret, she said it was "in the Gospels and in the Apocalypse", and at one point she had even specified Apocalypse (Revelation) chapters 8 to 13, a range that includes Apocalypse 12:4, the chapter and verse cited by Pope John Paul II in his homily in Fatima on 13 May 2000. An additional ET alien simulation of this event is shown below. While the seven red comets (AKA dragons of Revelation 12:3) have yet to appear (as simulated in the cited Sky Circle), an actual comet fragment with a 'red tail' has appeared. See Figure 1. The discovery of comet C/2017 K2, has been reported. K2 had a coma already at 2 billion miles from the Sun, when it was between the orbits of Uranus and Neptune. Sunlight is heating frozen volatile gases - such as oxygen, nitrogen, carbon dioxide, and carbon monoxide - that coat the comet's frigid surface. These icy volatiles lift off from the comet and release dust, forming the coma. It will reach perihelion around Dec 21, 2022 close to the orbit of Mars. This comet may fragment 'rounding the Sun' and cause the two bright white objects depicted in the ET alien comet swarm simulation depicted below as well as multiple smaller Earth threatening objects. Many people say that there is a seven-year tribulation but there�s not one scripture to prove that. However, there are six specific scriptures that say the great tribulation will last for three and one half years. a silver serpent comes to view - "
and spew out men of like unknown - "
to mingle with the earth now grown - "
cold from its heat and these men can - "
to intermingle and show them how - "
to live and love and thus endow. - "
the children with the second sight. - "
a natural thing so that they might - "
grow graceful, humble and when they do - "
the golden age will start anew.- "
A presumably ET alien celestial simulation 'Sky Circle' of our anticipated comet swarm was generated in 2011 over Christ Church New Zealand. Notice that the ET alien simulation of the approaching comet swarm was likewise in the Southern Hemisphere. This simulation was the first firm indication the author had of the 'comet swarm' and it was displayed on the following 2011 Video. ET Alien Simulation Of Cluster 1 Of The B Comet Swarm And Its 7 (Revelation 12:3) Kuiper Belt Comets. The Babylonians knew of two (swarm B) comet sub-clusters and named them Marduk (AKA Phaeton) and Tiamat. Marduk was recorded as a major astronomical entity with four assistances and Tiamat with eleven (or more after rounding the Sun). Both appeared large. An apparent "battle" occurred as Tiamat rounded the Sun and met incoming Marduk. A major comet, Kingu, was also noticeable. Some, living near Ardmarnoch in western Scotland, may have seen this event around 10,000 YA (Years Ago) after the 11,600 YA swarm A strike cleared the ice crystals from the atmosphere revealing the starry canape'. They carved its (or just Tiamat's) image on a large flat rock. Twenty-two comet-like objects are shown. Some are arranged in a line as if a comet had fragmented while passing around the Sun as often occurs. Marduk and Tiamat can be seen in the ET alien's celestial simulation seen above in Figure I. This is what the Babylonians saw one Resonate Interval (2 x 4969 = 9938) YA.